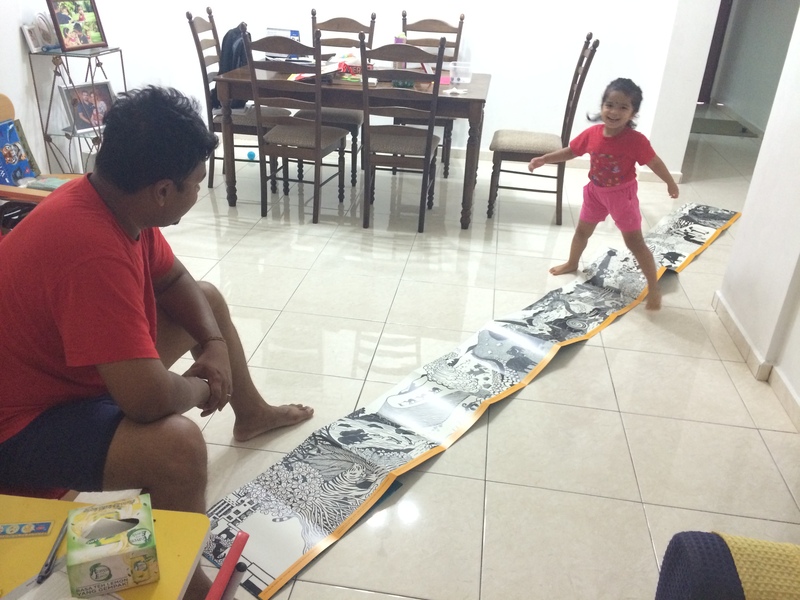 We found this panoramic book in the Big Bad Wolf book fair in Melaka. Telling stories based on a continuous stretch of pictures; no limits to story-telling. It is an excellent way to tell open-ended story and let the imagination soar. One of the best books we bought for Svadhi. This entry was posted in LEARNING, SVADHI ELEESHA. Bookmark the permalink.